It’s not every day that you meet a person of this quality. 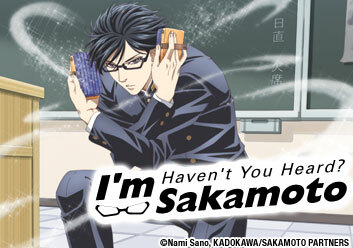 Sakamoto may be a first year in high school, but he has the class, grace, and skill to rival royalty. He may seem intimidating at first, but his cool façade only serves as a matching exterior for his heart of gold. Sakamoto gallantly comes to the aid of bullied students and justly combats the envy of other boys with ease and panache. Despite attempts to embarrass him, Sakamoto glides through school and life with nearly inhuman elegance.